if you are staying in tamarindo follow the signs to "Hotel Playa Negra. a 25 min drive aprox. you have to pass playa avellanas, and then is like 5 min to the spot. English (Translate this text in English): if you are staying in tamarindo follow the signs to "Hotel Playa Negra. a 25 min drive aprox. you have to pass playa avellanas, and then is like 5 min to the spot. English (Translate this text in English): if you are staying in tamarindo follow the signs to &quot;Hotel Playa Negra. a 25 min drive aprox. you have to pass playa avellanas, and then is like 5 min to the spot. English (Translate this text in English): if you are staying in tamarindo follow the signs to &amp;quot;Hotel Playa Negra. a 25 min drive aprox. you have to pass playa avellanas, and then is like 5 min to the spot. The wave barrels and is very ripeable. there is a left, but its short and breaks over rocks, just be careful in low tide. when is mid tide going low gets hollow and powerfull, when its good. you can park your car in hotel playa negra,and in the hotel there's a nice restauran in front of the beach and is not expensive. English (Translate this text in English): The wave barrels and is very ripeable. there is a left, but its short and breaks over rocks, just be careful in low tide. when is mid tide going low gets hollow and powerfull, when its good. you can park your car in hotel playa negra,and in the hotel there's a nice restauran in front of the beach and is not expensive. English (Translate this text in English): Mellow. A step above the other breaks in the area. English (Translate this text in English): A step above the other breaks in the area. 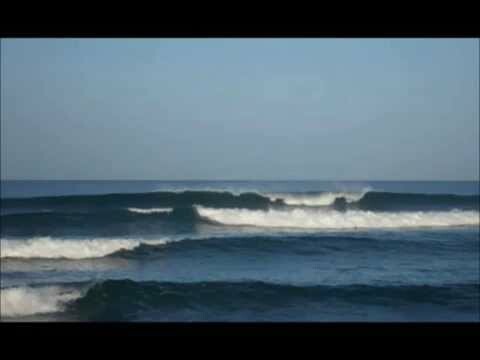 - Playa Negra is one of the best spots in Costa Rica. Surf is great. If you get sick of going right off the point just paddle 100 yards over to Stone Fish Reef or Lefty Left's and go left. Post card setting easy on the bugs. Fun easy wave, shallow rock bottom. Give it up - You might as well pick the punk out that you want to give your $$$, sunglasses, trunks, camera and whatever else you leave in your car. Every spot in Costa Rica will drain you if you're gullible. Good wave - I surfed Negra back in late nineties, early millenium. Probably one of my favorite waves in the world. IT can get crowded these days but if you hang out for a while you can always find a time to slip in for a few drainers. I never had a problem with anyone there. There was one dude who was a loud mouth from somewhere in the States. He owned land and was jaded but he would only come down for a couple weeks at a time. We used to camp on the beach and surf for a couple weeks at a time. Does Manou still hold it down? He is the man, he rips and his woman is really hot. The wave is great but it is not as heavy as some people here say. It get's power and you can get a barrel but the take off is not to critical. In fact, if you get one off the boil, dry hair tube rides with a mellow take-off.